Customers will love this coffee inspired lip scrub at your next craft show. 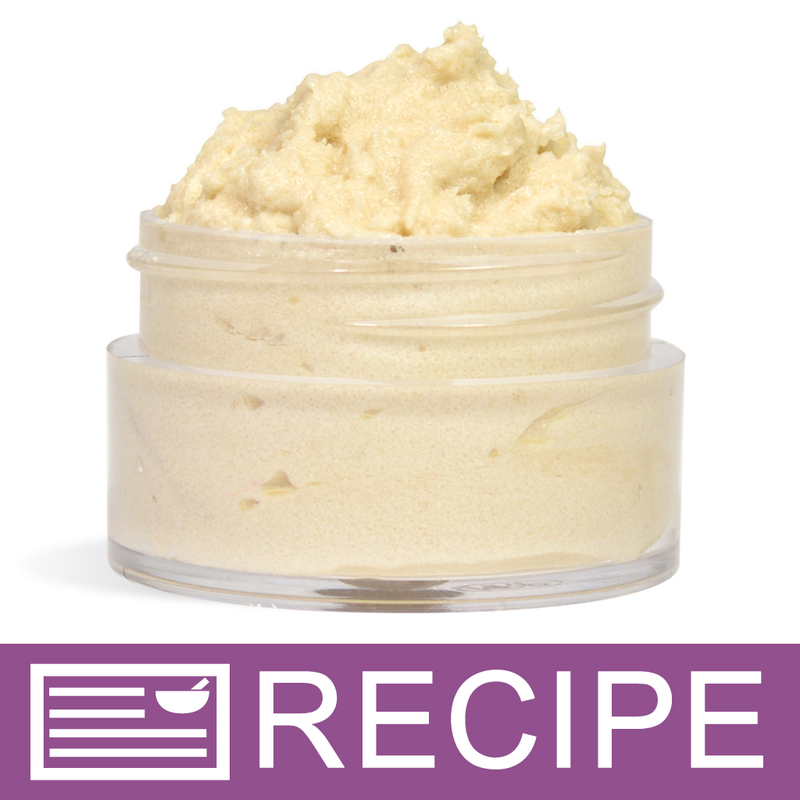 Coffee aficionados will love this coffee lip sugar scrub. 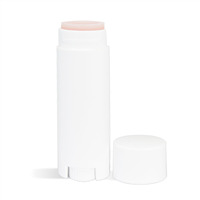 It's made with moisturizing lip ingredients including coffee butter, shea butter, camelina oil, and apricot kernel oil. 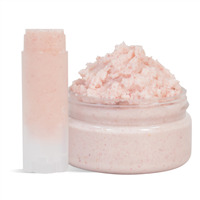 Sugar adds texture to the product creating a gentle lip exfoliant when used. The clear pots are sturdy making these products scream high-end. Sell these dulce de leche flavored lip scrubs at your next show or give them away as handmade gifts. You Save $2.85 by purchasing this kit rather than buying the items separately. COMMENTS: Wow, this was nice. Without the flavoring, this was a rich lip butter. The flavoring oil just makes it addictive! COMMENTS: This kit came with everything you could possibly need to make a rich, luxurious lip scrub. The best part about it is that it leaves you lips very hydrated due to the butters in the recipe. It's gentle on the lips but a nice exfoliation is accomplished and perfect for lipstick applications! COMMENTS: This was my first kit that I’ve purchased from WSP. I loved that everything came packaged together. The directions were easy to follow and I love how the lip scrub turned out. Leaves my lips feeling extra soft. The only thing I wasn’t super fond of was the smell. The scrub tastes delicious on my lips but there’s a bitter cafe smell when you open it. That wasn’t my favorite. My testers all liked it though and thought it smelled just like coffee so that’s good! I’d definitely recommend this kit. COMMENTS: easy to make. the price is perfect. It leaves the lips smooth and plump. My customers love it! very gentle to use. • flavor, easy to make, feel, everything. COMMENTS: I loved buying this in a kit! I had everything I needed right there in front of me. Directions were easy to follow. Loved the smell and feel of the product. Might think about adding labels to the kit. Thanks again for the great product. COMMENTS: I love love love this lip scrub! The scent is amazing! I seriously want to eat it! I will make it again for sure!! COMMENTS: I featured these at a recent holistic health fair, and my customers absolutely loved them. The kit was very easy to make, the sugar did a great job of exfoliating, and the flavor was delicious. I left out the mica, but the product still had a very attractive color. I will definitely make this product again. COMMENTS: This is my first time buying any kits from WSP and I was not disappointed. After making all 13 jars I had some left over so I put them in sample jars for my co-workers to try. One tried it right away and came out of the bathroom smiling! She said it made her lips so smooth and soft and the taste was good. I personally hadn't tried to taste it but everyone else couldn't wait to try it. I will be selling these as stocking stuffers! COMMENTS: I had such a good time making this kit. The scent "Dulche De Leche" that comes with it, is SO spot on. It smelled so good I wanted to eat it out of the bottle! (I even hate coffee). My coffee drinking friends loved this so much, it made a wonderful gift. The finished product is very nice. I would definitely buy this again. "Why is the sugar in my kit hard as a rock? " Staff Answer That can happen with sugar. Even what you purchase in the grocery store can be clumpy. Empty the sugar into a bowl and try breaking the clumps up with a pestle and mortar or something that can break the sugar up. "Could you possibly use this as a lip butter if you don’t put the sugar in the recipe?" Staff Answer You can but you may want to play around with the amounts of the butters. Without adding sugar, the product will be very soft. The shea butter might need to be increased and the coffee butter decreased. "How do I measure .79 ounces for one of the oils? Isn't .79 ounces less than one ounce?" Staff Answer The measurements provided in this recipe are weight measurements. We have found that most digital scales are able to measure ounces to the one hundredth percent (0.00). If your scale only measures ounces to the tenth then you can round the measurement up to 0.8oz.